Golden Pond Financial is a Royal Oak, Michigan firm that serves the needs of individuals, families, business owners, and charities. Each financial solutions is created and implement is tailored to fit unique and individual needs. Brian Harte Design designed and built a content management system based website for them. 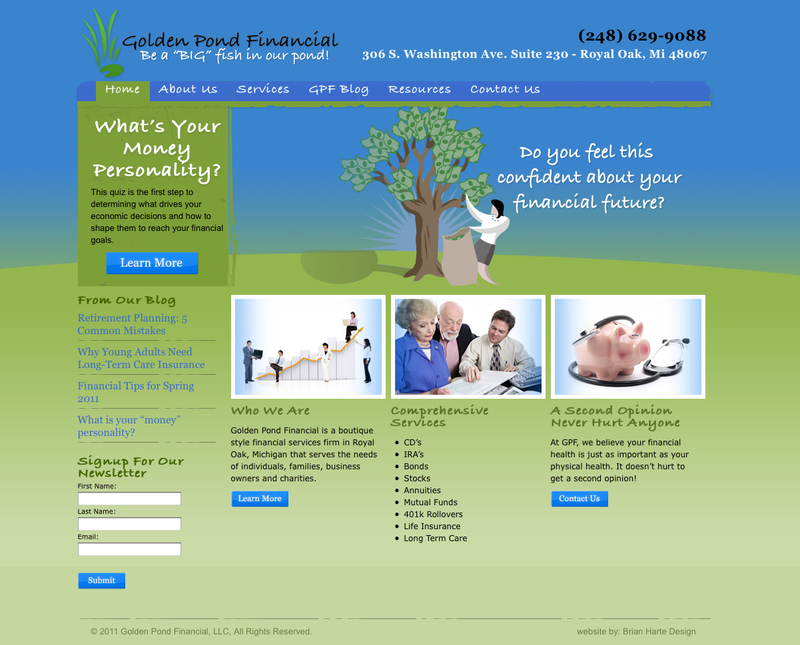 The website features a blog that the client uses to easily enhance her social media efforts.